In Part 3 of this 3-part video series, Ford R. Myers, Award-Winning Career Coach and Author, explains more about age discrimination and how a 50+ year old can go about finding a job they love. Regarding the resume, as a mature worker, say for example I’ve been working since 1970. Do you recommend that I put all of my history on my resume? No, I don’t think you should go back that far in history. What most people do is they’ll go back chronologically in their resume, say 15, 20 years, and they’ll cut it off there. They might say something underneath it like “Previous positions included A, B, C, and D,” but they’re not going to list everything by date going back to 1946! My point is, go back just far enough to show the reader the kind of career history you’ve had, the kinds of roles you’ve had, the accomplishments that you’ve had. Include just enough to give them a sense that you could be a good fit for what they have in mind. And as far as social media, being on LinkedIn. If I’m a mature person, they want to see a photo, a headshot. Do you recommend that, and if so, what else do you recommend for LinkedIn? I absolutely do think that you should have your photograph on LinkedIn, yes. We could have a whole discussion about that. You must have a good headshot. Have it done professionally. Don’t get a whole lot of retouching. Don’t make yourself look different than you really are. Just try to look your best. One piece of advice and this isn’t from a career standpoint, but I noticed people who are over 50, over 60, the ones that appear younger seem to hang around with people who are younger than they are. What other little strategies can you give to make people stay vital and active, and really project a youthful image? Well, you’re right. Hanging around with younger people, people who are active and young is a great way to stay active and healthy. Health matters. Try to be as healthy and as vital as you can, as we said before. Exercising, getting enough sleep, eating well. These things seem like minor points, but they’re not. When you add them all up, they can help you seem more vital, more youthful. It’s really important to be at your best when you’re going out on interviews. You mentioned interviews. When mature workers or over 50 workers, sometimes they will use language that really dates them. I know a woman who would use words like “I used a Dictaphone and I was on the switchboard.” I mean, boy, that’s a deal killer. What are some of the things that candidates can avoid, or become up-to-date on current words and language, to make them seem current? You’re right. It’s about sounding current. You live in this decade, not four decades ago. Practice helps. I really am a big believer in practice interviewing. 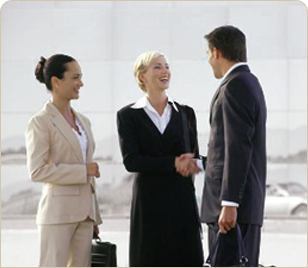 Even practice networking so that a friend or a trusted colleague can say “That really sounds wrong when you say that. You better say this instead.” Otherwise, the candidate may not even know that she’s not using terminology from 40 years ago. Practice is a great technique to overcome that challenge. So the sky is the limit for people over 50? Absolutely, and I really think it has at least as much to do with your own mindset as with the political pressures in corporations and the business world as a whole. I’m over 50. Leave me with three great positive things where I can go out there and feel like I can compete with that 25 year old. Well, let’s face it, you have more experience, which means more accomplishments, which means you bring more value. That’s huge, right? Another thing is that you probably have better, more refined interpersonal skills – in terms of leading, in terms of resolving conflict. In addition, some companies actually like a little bit of adult supervision! They like someone to be around who can keep the kiddies in order when the boss is out. This can make a different also, so think about these different kinds of value, the different assets that you bring to the table that younger workers just can’t. Learn more at https://www.CareerPotential.com, or contact Ford directly at 1-800-972-6588 or contact@careerpotential.com.